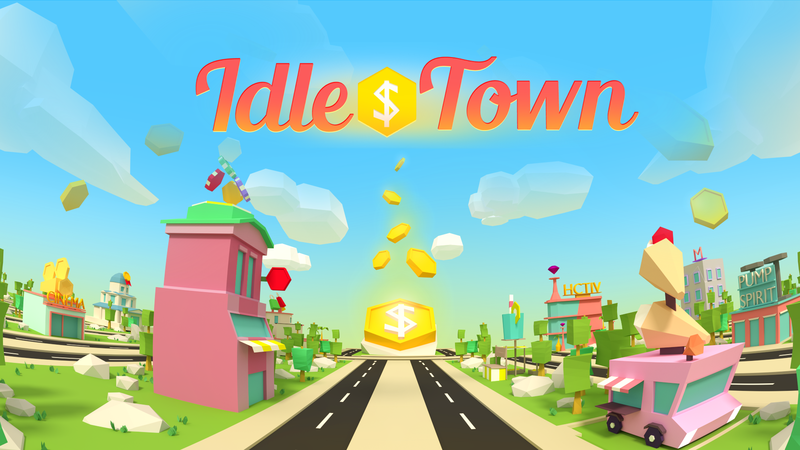 Idle Town is a Tycoon Game that challenges you to earn achievements, gamble your money in Gambling Houses, beat milestones and impress your friends with your, so precious and so virtual, riches! 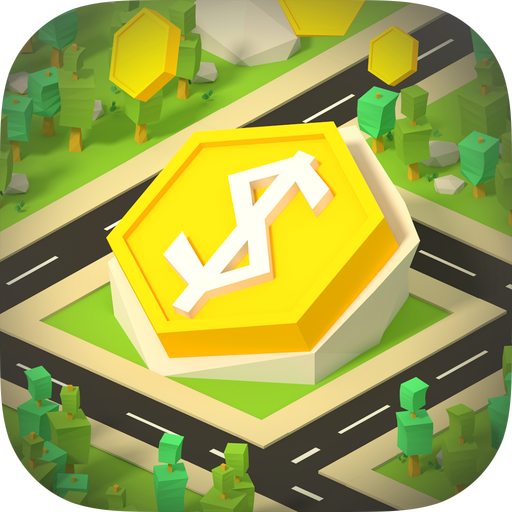 Join your friends on this adventure. 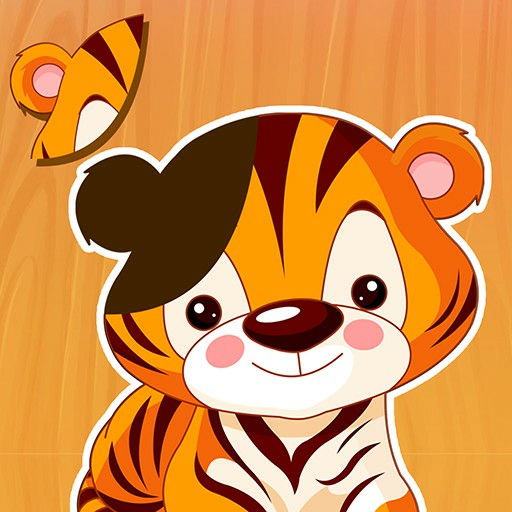 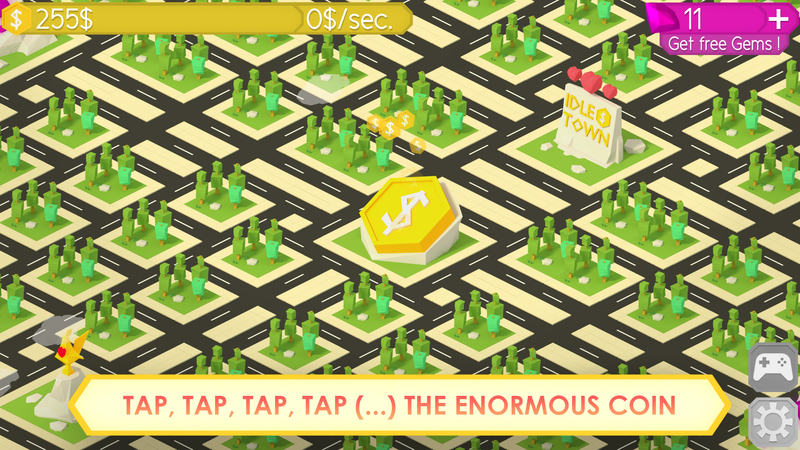 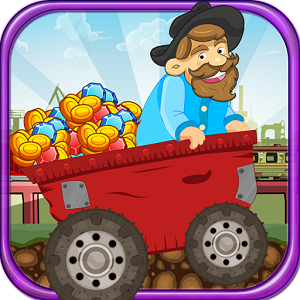 •Tap an enormous and golden coin in the center of your town to gain money! 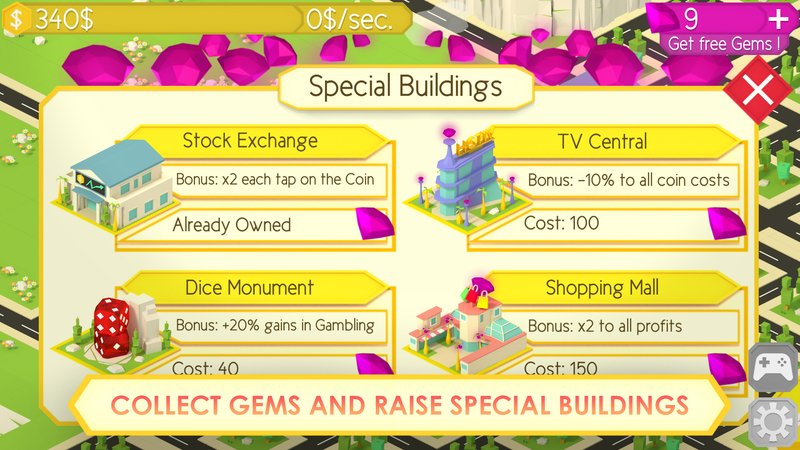 •Build an impressive business town with various lucrative buildings, be an awesome capitalist! 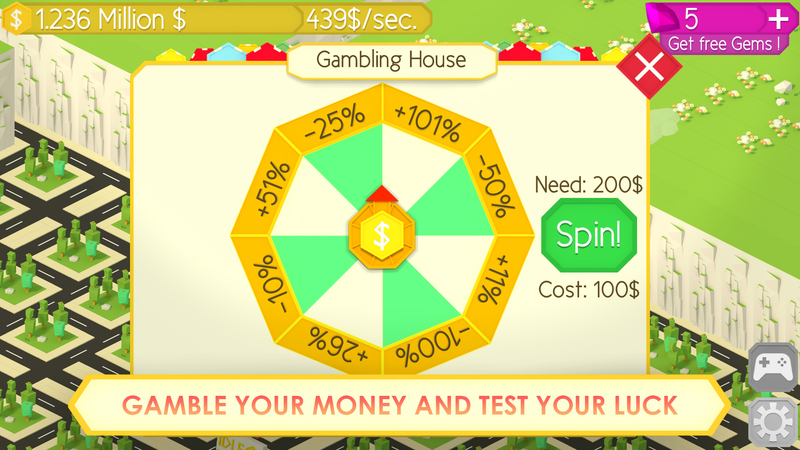 •Gamble your money to earn enormous prizes, or lose all your richness! 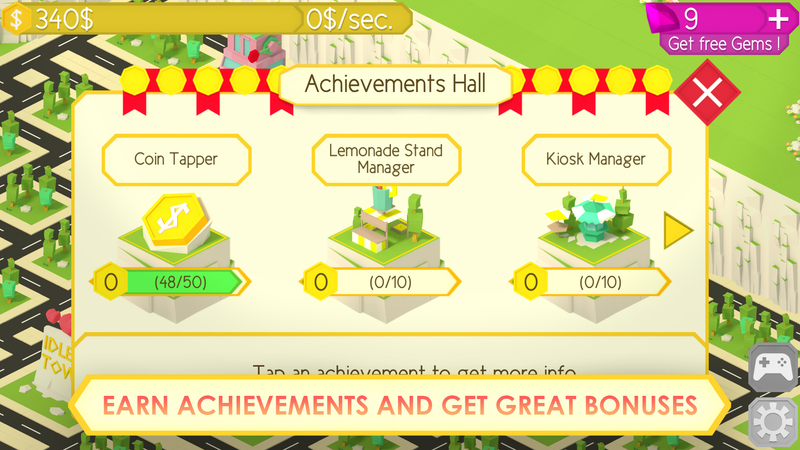 •Use unique Power-ups and be a even awesome mayor! 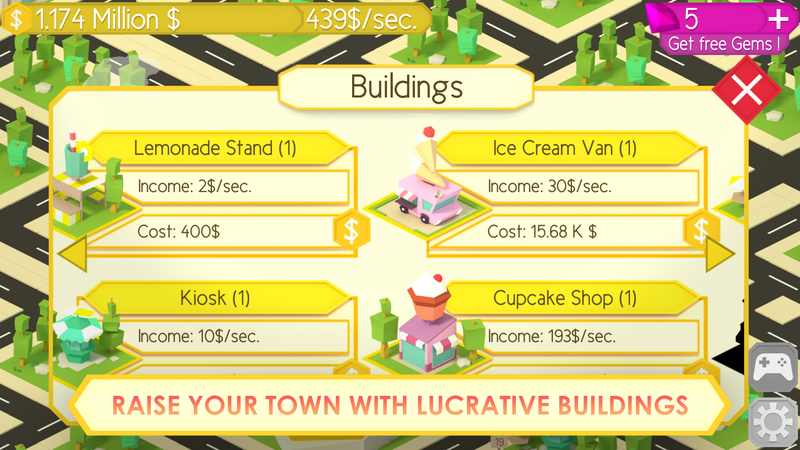 •Earn unique Perks to multiply your earnings! 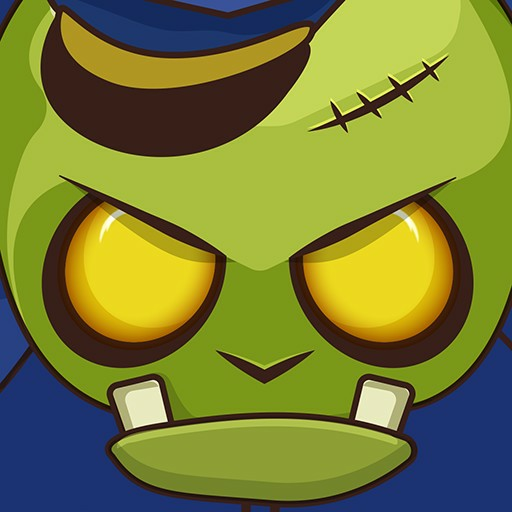 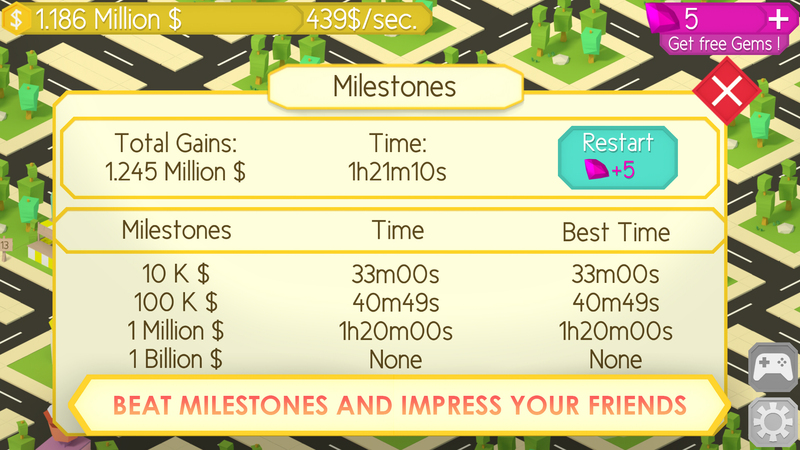 •Beat your friends Highscore and be the most ambitious mayor!